As you all know from a previous post, Sam, Jessica and I are doing monthly reads of upcoming and already published books in the Thriller genre. 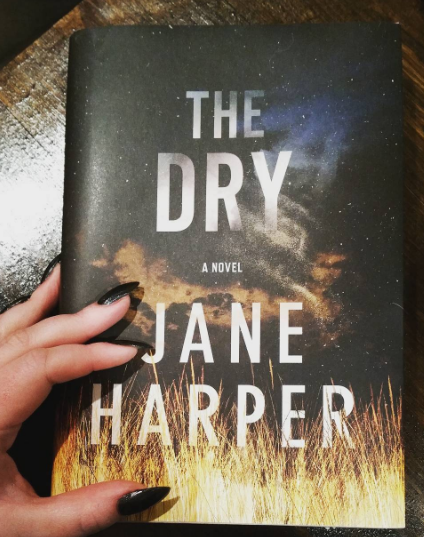 Our first book of 2017 is The Dry by Jane Harper and what a doozy! 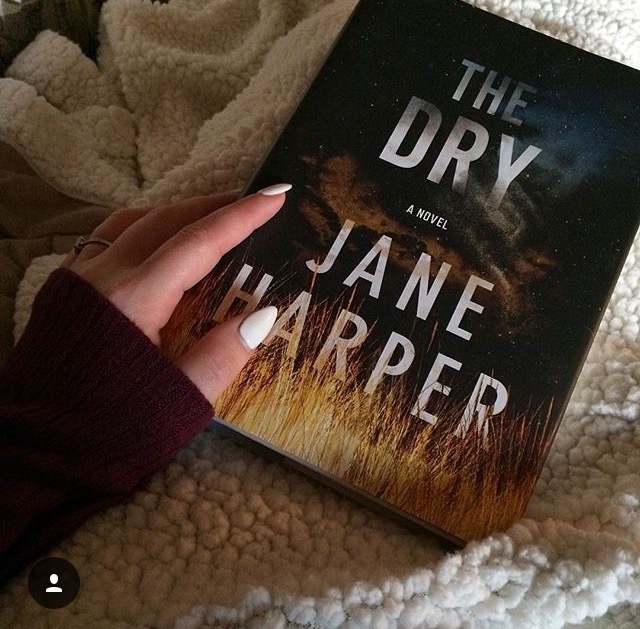 We all LOVED the book and highly recommend it to anyone who loves a good thriller with an unexpected ending. Keep reading below for a synopsis of the book and our thoughts. Falk gets roped into staying to help look deeper into the case by Luke's parents. Falk's involvement and presence aren't well-received by the small farming community because of a town tragedy that occurred 20 years ago - that everyone thinks Falk was involved in. Tensions run high as Falk and Raco (local sheriff) begin to unearth long buried secrets, and during the worst drought in decades. The author does an amazing job developing the characters and telling the story. Through the use of flashbacks, to help the reader understand the hatred the town has for Aaron, and the events that led to the death of Luke and his family. 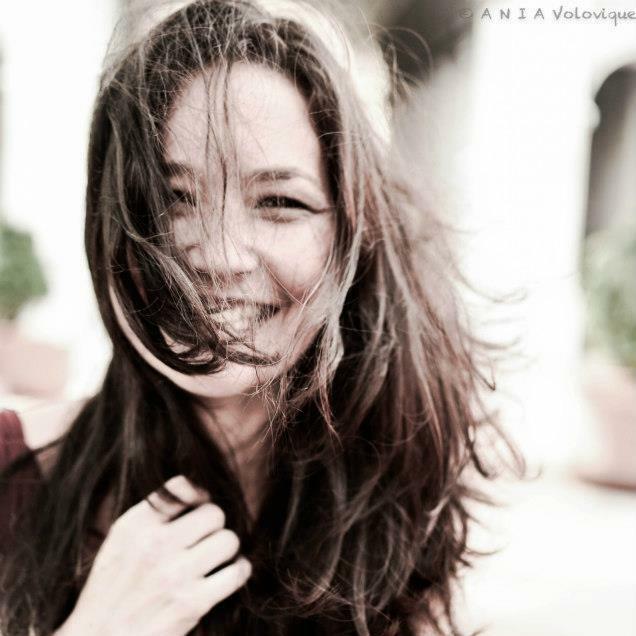 There are a few twists throughout the book and there is a constant feeling that something bad is going to happen. The ending...completely out of left field! Was not expecting that end. It was incredible. I highly recommend this to anyone that loves a good crime thriller. It'll keep you on your toes throughout and have you wanting to know what really happened all those years ago. 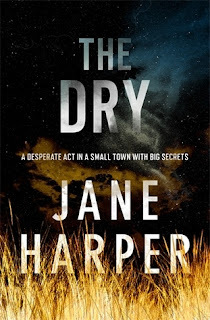 The Dry, the debut mystery by Jane Harper, had me hooked from the initial pages. 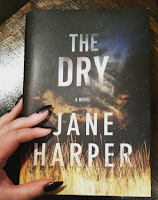 Filled with red herrings, a stellar plot, and provocative characters, there wasn’t much that this novel left me needing. The novel opens with the grisly murders of the Hadler family. All signs point to Luke, the patriarch. Enter Aaron Falk, a man born and raised in Kiewarra, forced out of the town as a teenager after a scandal. He has returned to pay his respects at the family funeral. He and Luke had been childhood friends. Desperate for answers, and to clear their son’s name, Luke’s parents make a plea for Aaron to stay and investigate. As Aaron investigates, he begins to untangle a scenario that mixes past demons with present problems, leading him on a hunt for answers. The novel is narrated solely through Aaron. I found him to be an extremely likable character. 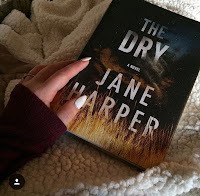 Harper also introduces a narration into the past; we are able to see the story develop in the present day as well as in the past bringing two mysteries colliding into one. I loved this narrative style. I didn’t find it overly distracting, but I did find myself wanting to know more! The plot was meticulously weaved and multi-layered. Sins of the past, economic strife, and the collapse of a family unit; there were no stones that The Dry left unturned. There were so many moving pieces and yet I didn’t any of them to be distracting or overwhelming. Harper does a brilliant job at blending all of them together to create a well-oiled story. I also found this one was just the right pace; moments were quick and action filled, causing me to flip the pages quickly and other moments were tender and slow building, creating tension. I was completely blindsided by the ending; I pride myself on being able to figure out the ends of most mysteries, but this one had me fooled. 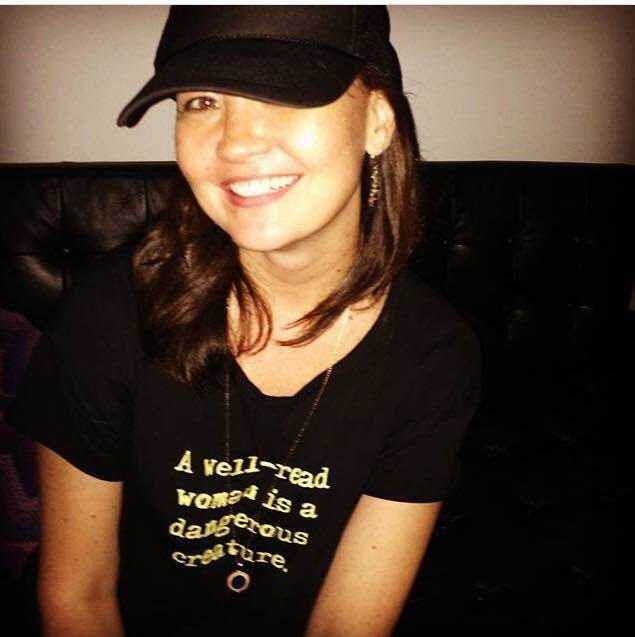 Follow Sam on Instagram, Twitter and Goodreads. "You lied. Luke like." Someone knows his secret and Aaron gets roped into looking deeper into these killing, bringing up memories of his past, the secrets laid within and stirring up more revelations that threaten to tear apart this small little town. Emotions are already at a high considering the long time drought that is threatening the livelihood of all. Mostly we see the story unfold through Aaron's eyes with some flashbacks through various perspectives. While a fairly somber story, the author really builds each character. 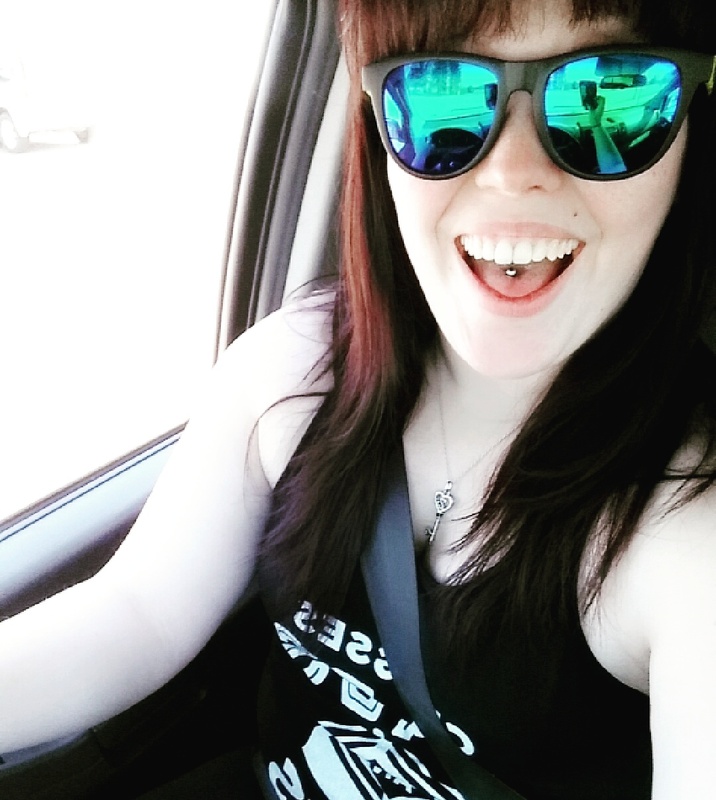 I saw everything play out with clarity in my mind as I was reading. And then WHAM - I did not see that ending coming. A left turn here, a twist there - extremely well written, character driven and a book that's hard to put down. A must read for crime lovers for 2017. We thoroughly have enjoyed our first venture together in buddy reading and reviewing this book. Please feel free to jump in and join us at any time! 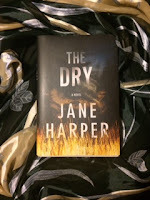 We would like to thank Flatiron Books and Jane Harper for a copy of this book for our honest reviews.